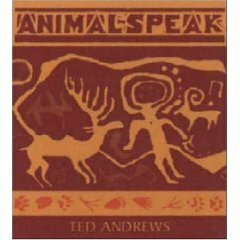 The best-selling book, “Animal Speak – The Spiritual and Magical Powers of Creatures Great and Small” 1 by Ted Andrews 2, helps you to open your heart and mind to the wisdom of the animal world. 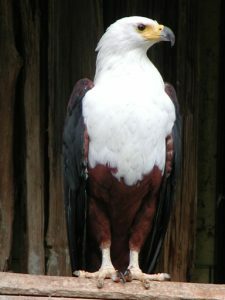 Animal Speak provides techniques for recognizing and interpreting the signs and omens of nature. Meet and work with animals as totems and spirits by learning the language of their behaviors within the physical world. 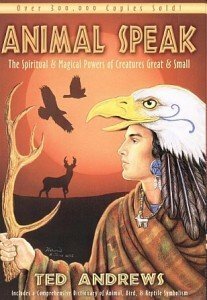 Animal Speak shows you how to: identify, meet, and attune to your spirit animals; discover the power and spiritual significance of more than 100 different animals, birds, insects, and reptiles; call upon the protective powers of your animal totem; and create and use five magical animal rites, including shape-shifting and sacred dance. Learning to draw upon the energies of your animal totem through the use of creative imagination is essential to awakening the magic and power of its medicine. Rather than you choose it, keep in mind that the totem will have symbolic significance to you. The more you learn about it and meditate on how it might reflect your own life, the easier it will become to access its energies. What emotions/sensations does it arouse in you? Is it an animal that interested you in the past? What is your heartfelt response? Do not haphazardly discard it, simply because it is not as glamorous as what your ego may have wanted. The totem may be quite appropriate to you, but you will not know until you study and explore more closely the qualities and characteristics of it. Use the dictionaries in this book to assist you, but do not limit yourself to them. Do your own exploration. Searching out the significance of the totem and its application to you and your life circumstances is a way of honoring it. It is the first step in opening a communication that can lead to true animal-speak. If after your studying and exploration you cannot find its application to you, perform the exercise again. 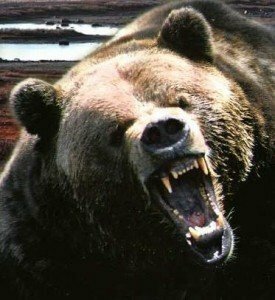 If you have a totem appear with fangs showing or it is in any way frightening, simply come out of the exercise. There will be no harm. You can end wherever you wish. You can experience as much as you wish. Totems teach that there is but one moment and you are in charge of that moment. Keep in mind too that frightening images are more often than not projections of your own fears. They may also be expressions of resistance. It is amazing sometimes how programmed we are not to accept anything that can’t be rationally explained in the moment. Most people have some degree of programming of the idea—“Better the devil you know than the one you don’t.” When you start exploring the inner realms and their play upon the outer world through nature, it can be a little disturbing. There is often a sense of being vulnerable and unprotected, of having no control. If you find yourself encountering fear and resistance, think about your favorite pet, and imagine taking it along with you in the exercise. This will calm you, and its energy is always loving and protective to you on the inner realms. With exercises such as those that follow, individuals often wonder if they are experiencing a true shamanic journey. The difference is simply in the depth of experience. In a true shamanic journey, you are actually in it, feeling it and experiencing it first hand. It will not always follow a prescribed pattern. In meditational exercises, such as the following, you often observe yourself experiencing the situation or imagining how it would be experienced. With time and practice the meditation can become a doorway to a true journey. Entering a cave or tree. Leaving the cave or tree to enter a meadow or natural area. Allowing the totem to enter the scene. Allowing the animal to speak to you—its movement, sounds, form, color, etc, will give you a message about its power. You may even hear its thoughts in your own. Allow it to tell you or show you how it has helped you in the past and how it will do so in the future. Give thanks to it for making itself known, and ask it for some tangible confirmation in the next week or so that it is truly your animal totem. Such confirmations can come in many ways. You may see its face in the markings of a stone. It may come to you in a dream. You may encounter figurines, pictures or television. programs on it, but if it is truly your totem, there will come some confirmation of its presence in tangible form, in a quantity that is more than coincidence. Move back to the cave or tree and step back through it to its other entrance point. Then step out from it. Take four or five slow, deep breaths and allow yourself to feel grounded and connected. Begin your verification process. Research and study the totem and its qualities. Meditate and contemplate on its qualities as they apply to you and your life circumstances. Drums and rattles are effective instruments to use, although they are not crucial. If drums and rattles are used, the rhythm should be slow and steady. You should allow the drum beat to lead you. I recommend you not do any imaging, but simply sit and feel the drumbeat for at least five minutes. 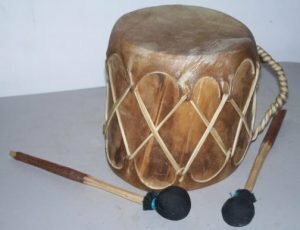 This relaxes you and brings your body rhythms into synchronization with the drum. If you do not have drums or a rattle, you may use some soft music that is repetitive and non-intrusive. Make sure you will not be disturbed. Take the phone off the hook, lock the door, and/or do whatever is necessary so that you will not be interrupted. Make yourself comfortable. Sit or lie down, whichever is easiest for you, but make sure your back is straight so that the blood can flow freely up the spine. Close your eyes and breathe deeply. Then begin to perform a progressive relaxation. Focus on each part of your body, sending warm, soothing sensations through it. Begin at the feet and work your way to the top of your head. Take your time with this. The more relaxed you are, the more effective the exercise will be. Don’t worry if your mind wanders. Just bring it back to where you left off and continue. Then simply imagine the scenes that follow. As you relax, you find yourself growing lighter and lighter. The surroundings seem to fade, and you are wrapped in the warm dark cloak of your own energy and mind. It is safe, warm and comfortable. In your mind’s eye you begin to see soft light, and slowly the view opens. You find yourself at the edge of a crystalline pool of water. The sky above is blue, and there is a soft haze on the distant horizon. Above you, the sun and the moon can be seen together in the sky. You are not sure if it is dusk or dawn, but you know it is one of those powerful “Between Times,” a time in which there is a thinning of the veils between the physical and the spiritual. To your right, at the end of the pool, is a waterfall. The spray from it is cool and misty, and where it touches the pool, water ripples outward, distorting all reflections. It gives the area a surreal appearance. You look about you at the green grasses and the distant trees, and all is silent. It is as if nature is in a state of quiet anticipation. You look back to the waterfall and you notice a dark area behind it. You move toward it, and as you stand close to the waterfall, you see a cave half-concealed behind it. You step carefully behind the waters and into the muted darkness of the inner cave. You are surprised, for it is illuminated with soft torches. The light given off from them give the open chamber a warmth. Somehow it looks familiar, and it makes you feel as if you were expected. To the back of that chamber is a tunnel that is also lit with torches. You glance over your shoulder to the area beyond the waterfall, and then walk further into the cave. 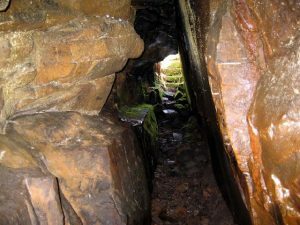 It is as warm and comfortable as it first appeared, and as you step further in toward that back tunnel, you feel a slight giddiness, and a soft childlike laugh slips out. For the first time in a long time, you feel like a child, about to open and explore wondrous treasures of the world. You step from the chamber onto the path of the tunnel and begin to follow it slowly. It is well lit, and you are not at all uncomfortable. You reach out and touch the walls with your hands, and you are surprised at their warmth. It is as if you could feel the life blood of the earth itself flowing through its walls. As you move further along, the tunnel widens and grows taller. The torches are fewer and more distant, but you notice that it seems to be getting lighter still. Then you pass a couple of torches that are not even lit. You stop and touch them, just to confirm they have not recently gone out, and then as you look ahead, you see the reason. The tunnel has widened so greatly that the sun is able to penetrate almost fifty yards back. You can see beyond the end of the tunnel. There is a distant river and lush green grass. The sunlight sparkles off of it as it would the morning dew on a summer’s day. Across the field is the edge of a rich, deep-green forest. You pause only a moment, and then you run the last fifty yards and burst from the tunnel into the warm sunlight of this beautiful meadow. The sun is warm upon your face, and the grass soft beneath your feet. Your nose is teased with the fragrance of honey and spring wild flowers. The air is sweet, and you tilt your head back and stretch your arms wide. You spin and swirl and laugh at the beauty and lightness of this meadow. Next to the river is a large, ancient oak tree. Surrounding it is the greenest and most lush grass you have ever seen. You run to it and sit down beneath it. You stretch out, and roll in its softness, and you inhale its sweetness. Then you sit up. Next to the tree is a stone, shaped as if carved into a chair. You sit down upon it, and as you do, you find that it fits your form perfectly. It makes you giggle with wonder. You breathe deeply, and from this chair you look about you. It is quiet and peaceful, and you know that this meadow is a place where wildlife must surely come, and for a moment you envy the animals and the birds for having such a place of beauty. You sit upon that stone chair and you enjoy the beauty of nature. It is as if with each breath you become more and more a part of it, and it becomes more and more a part of you. Then suddenly your breath catches. You see a movement out of the corner of your eye at the edge of the forest. You hold your breath. Maybe you will get to see some wildlife. Then from among the trees comes movement. It may soar above you or it may step out into the meadow. You sit still. watching, as an animal appears in your vision. Don’t force it. Allow it to show itself to you. And as it does, its eyes seek you out and hold your gaze. Never have you seen anything so wonderful, so unique. Such animals have always seemed so wild and out of touch. There is no fear as it moves closer, only recognition and wonder. Surely this must be a dream! Then, as if in response to your thoughts, it makes a sound, a movement, a gesture and you fix your eyes upon it. In that moment you begin to understand. You catch glimpses of memories of how it may have helped you in the past. You now know why you have always been fascinated with it. And then it begins to move toward that tunnel. It pauses and turns to look back at you, as if telling you it is time to go on. You stand and begin to follow it. As you approach the mouth of the tunnel, it waits. It is so close; with a few steps you could touch it. Carefully, gently you extend your hand out to it, but before your hand gets close enough to actually touch it, it jumps and is heading back to the edge of the forest. It pauses, looking back at you once more and then disappears into the green. You understand. It will take time to develop a relationship. There is much you have to learn from each other. Until then you must be patient. You smile a sweet sadness, and then move back into the tunnel following it back to the waterfall. As you step from the cave and behind the waterfall, you look into the crystal pool. You see your reflection rippling, and then behind your reflection you see the form of your animal totem. You catch your breath and you laugh, thanking it for opening to you. As you do, its image disappears, and the scene around you begins to fade. You are again in the warm darkness of your own mind. The image of your totem is strong within you, as you breathe deeply and allow yourself to come back to your surroundings. 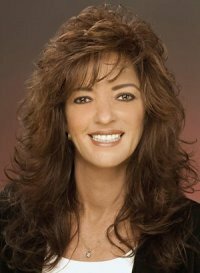 Pamela is internationally known as a “Messenger of Spirit” and highly acclaimed Psychic, Medium, Counselor and Spiritual Teacher. She is also a Certified Reiki Master and Ordained Minister with a Doctorate Degree in Religion. She has been in the wellness profession for more than twenty years, and is the Owner of Nine Wellness Centre, located in Knoxville, TN. She specializes in Intuitive, Grief and Spiritual Counseling, Reiki Natural Energy Healing and Educational Programs. I want to know what my life spirit animal is, but I can’t connect to him/her. I’ve already tried guided meditations on YouTube, but I can never get into an altered state of consciousness or visualize anything. I been suffering with obsessive-compulsive disorder for a few years now, and I’m always in a constant state of fear, anxiousness, and stress 24/7. (Sigh) I don’t know what to do anymore, and I need some guidance. Can you help me? We all struggle at first with meditation. It is hard to still the ‘monkey mind’. However, you are on the right path. The post you have just read has a mediatation/exercise on it that has helped many of my readers with locating their spirit guide. Try and have someone read this to you while you envisage its journey. Let me know if you have any success. My spirit animal is a wolf, and its name is Supero. I would like to know how to find him and how to meditate to see him. I had a dream that I was running on a mountain,the suddenly I fell down. A wolf grabbed my arm with its teeth and helped me up. After , I remember clouds fogging my vision and then I woke up. Thank you for stopping by my website and engaging me and my readers with your comment. The article above here where you have posted your comment contains an exercise that will assist you with a meditation designed to meet and interact with your Spirit Animal(s). Please try the meditation and then return and let my readers and I know if you found Supero and spent more time with him. Apparently my spirit animal is a fox (I don’t have her name yet) and not a wolf. I got someone else to help me find my spirit animal for me and her name is Kelly Eckert I don’t know if you’ve heard of her but you should check out her website, she helped me find my fox spirit animal. P.S. Thanks for all your support. Hi Timberwolf Matt again, I’m still having a hard time meditating and I was wondering if there’s an another way for me to find my power animal? how come Butch will never talk to me when I try to talk to him and how come I can’t ever hear Butch? Don’t try so hard to force Butch to talk to you. Let things happen in their own time. Animal guides can be a little offended by too much attention and badgering. Give him so space and time to get used to you. Enjoy his company in the mean time and learn from him. Hey Timberwolf, how can I enjoy Butch’s company if he’s not there, and how can I learn from him in the mean time? You’re trying too hard. You need to give Butch some space and come back slowly rather than trying to force the meeting. Try a slow guided meditation instead. This may give you better results. Hey Timberwolf Matt again, how do I know if Butch is actually my spirit animal and if he is then how do I know if he’s ignoring me or not? Also why does it take so long for you to reply to comments? Hey Timberwolf Matt again, I was also wondering if you have someone you could introduce me to help me meet Butch. To answer your last question first, I have a full time job and that keeps me pretty busy. I answer posted questions and comments when I can. I do apologise that it is not as quickly as it could be, but then, if I don’t work, I don’t eat. In relation to your question on learning how to shape shift, well that is one I am unable to answer as I don’t shift myself I have Wolf as a guide and that is enough for me. There may be readers here at Timberwolf HQ that could help you with shifting. Check out the comments on Lycanthropy-Shape-shifters-Werewoves for someone who may be able to help. With regard to what might happen when you finally meet Butch, well that is entirely up to you. Wolf is a guide, a teacher, a pathfinder and protector so there are many lessons that Butch may be able to teach you. It is up to you to be open to the messages Butch is bringing to you. You must be willing to accept his messages without necessarily understanding them immediately. Hey Timberwolf Matt again, I was also wondering if you could tell me more about about shapeshifting. I am really interested on learning how to shapeshift into a wolf when I do meet Butch, and how I can learn from my experience. Hey Timberwolf Matt again, I’m just wondering on what will happen when I actually do meet Butch. I tried the meditation with my friend but no luck all I could see was black, but she did tell me that my spirit animal is a wolf named Butch. I’ve tried to contact him but no luck and I really want to talk to him. Any suggestions or ideas? Please respond. There are many different ways your spirit guide can manifest themselves to you. It is highly possible that Butch could be your spirit guide. The only advice I can offer you though is to not try so hard. Let the meditation flow easily and don’t try to force a meeting. Your spirit guide will reveal themselves when they and you are ready. If any readers are able to help Matt, please hit reply below. Dear, Timberwolf I just dreamed of a unicorn and it took me for a ride on a rainbow what does this mean? Also when I was sleeping my body felt heavy, why? Unicorns stand for unconditional love. This is a creature so accepting of those around it, that even when they attack and kill it, it cannot do other than forgive them. Sound familiar? Remember the story of Judas and the 30 pieces of silver he got for betraying the love he had for Jesus? Remember Jesus’ last words on the cross,”Father forgive them as they know not what they do.” Unicorns are the archetypal representatives of this pure, unconditional love. The rainbow is the promise of new beginnings. Together it is a powerful image that leads me to believe that your dream was one of release from old energies and an embracing of love and light, new starts with greater appreciation and gratitude for those around you. Your heavy body was the bonds of the past circumstances trying to reign in the joy you were feeling at knowing that you had turned a corner and were on a path to brighter and better things. Please come back and let my readers and I know how things are going for you now Sheila. I am still new about this thing so i am going to move straight to the point. i truly think that my spirit animal is a wolf,but i have no idea how to talk to him or contact it.But a few weeks ago i had this dream that i still can remember. 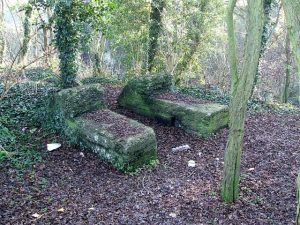 “I was walking through the woods with someone but then i wandered off into the wilderness and as i walked a dark wolf jumped out and tried to hurt me but just seconds later a White wolf appered and jumped between the black wolf and me adn told me to run, I did as i was told and then i woke up” any idea what the dream might mean? 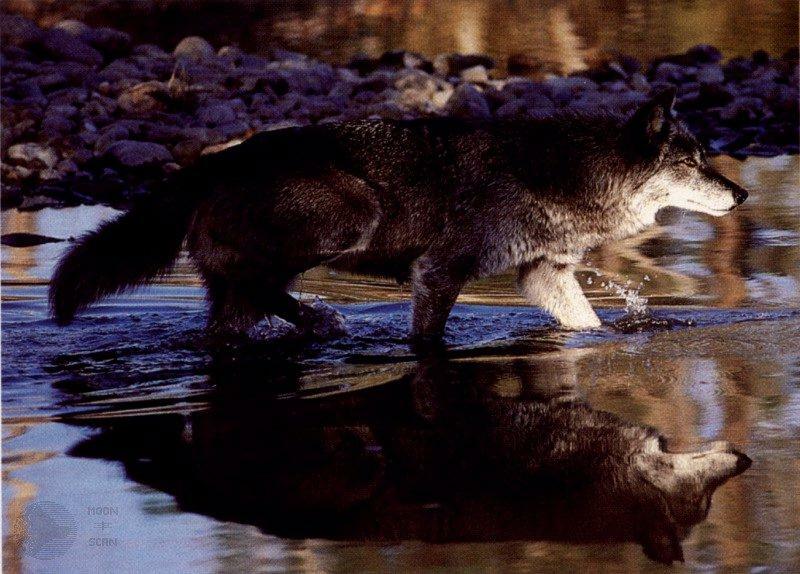 In relation to your question, a black wolf can indicate a situation that is dangerous or threatening. In this case however, I feel that it was more likely your fear at being alone in the woods. White Wolf appeared, your natural instincts to protect yourself and others, giving you an opportunity to move away from your fear. This is not necessarily an indication that Wolf is your spirit guide. There is a way, through meditation, that you may meet your animal guide. Try the meditation in this article and see where that leads you. Please come back and let my readers and I know your successes with this meditation.